It is the right time to accomplish your dream of owning property in Belize. Anyone can own property in Belize with legal financing and proper documentation at the Lands Department. 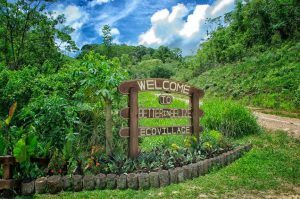 There are some who may intend to prey on investors, but be assured that most land for sale in Belize are genuine. Start by ensuring that the property is being sold by its legal owner and you will be set for a great experience. 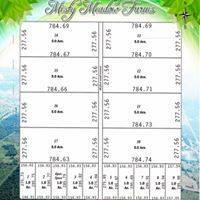 Information about ownership of all Belize land is kept at the Lands Department and can be obtained at a small cost. Doing so can greatly outweigh the court cost that could come from making a bad decision. A search will reveal liens or legal matters registered with the department. Sellers must provide the information upfront but validating the information is never a bad idea. Choosing the best spot can be the hardest part of the venture in an overwhelming market. Knowing what you are looking for will help you to choose a Belize property that will make you happy. If you love being near the sea, there is onshore living with the sea just a stone throw away or island life which is another world that some need adjusting to. Corozal Town, Belize City, Dangriga, Hopkins, Placencia and Punta Gorda are coastal communities where land is available for onshore sea living. Ambergris Caye and many tiny islands running the length of the country are perfect to get away from land lovers and city noises. Belize urban living varies by location, history, culture and many unique features that are often harnessed for entertainment and pastime. Those with a preference for urban lifestyle can choose from coastal or inland. There is one inland city, Belmopan which is the Capital. Santa Elena and San Ignacio are twin towns in the Cayo District with Benque Viejo not far away, sitting on the Guatemalan border. Orange Walk is the another inland town, located in the north along the Phillip Goldson Highway. The outskirts of these urban areas often offer large lots that can be developed to give a feel of rural living with all urban amenities. Village or rural lifestyle is often associated with less traffic, quiet surroundings, large space, children taking a bus to school, shopping for basics at the village store while stocking up in town. Most rural areas offer basic amenities if you live near enough to established infrastructures. Living off the grid can be fulfilling for some and these areas will help to perfect self sufficiency. 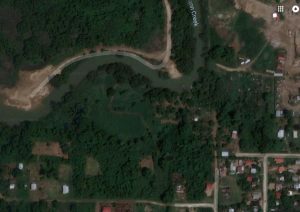 If you are a Belizean, there may still be a chance to lease crown land. You will need to locate it and get the required information to submit an application for lease. If you are fortunate to lease Belize crown land, then the next steps would be to develop it and apply for purchase. Paying the purchase price will result in your land certificate. Purchasing one of the many offers on the market is always the best chance of owning Belize property. You can start by looking at our for sale page or try others sites such as Mondinion and Imlix for great Belize real estate listings. You can start looking with these.